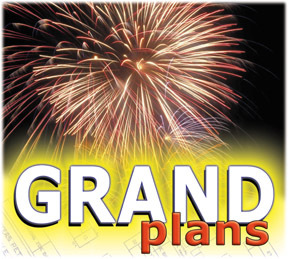 Ah, the best laid plans of mice and men… I had to find out where that saying actually came from this morning as I sat down to explain the irony of my GRAND PLAN gone wrong. Turns out it was from way, WAY back – from a poem by Robert Burns, called ‘To a Mouse’, that he penned in 1786. Yes, on Tuesday I put a Blog out to the world, declaring how organised and reliable a Blogger I was going to become – with different themed stories for each day. And while I stated clearly I was never intending to Blog EVERY day, I had hoped to keep to the schedule for…hmmm… well… I guess, at least a week or two. Then I came home and fell in a heap. With legs heavy as lead, I collapsed into bed and you don’t want to know the rest. Suffice to say it involved the bathroom and it wasn’t pretty. And then I slept. And slept. The irony being that I WAS going to write about healthy stuff today – Thursday being my self-appointed Blogging day for fitness, recipes and diet tips – but who am I to dish out advice, feeling like this? I will offer one piece of advice though. Earlier in the year I blogged about trying the ‘Sugar Free’ diet. Which, on my terms, meant I was allowed to eat anything that had five per cent or less sugar, plus wine. (in moderation!) I was proud of myself for lasting more than six weeks and I felt great. But since ditching this concept, largely due to laziness, I reckon the old bod has taken a turn for the worse. Not only in terms of putting on a few kilos (AGAIN!) but in terms of general well-being and feeling good about the world. And you know what? Just before I got knocked down by this tummy bug, I had a MASSIVE chocolate binge. 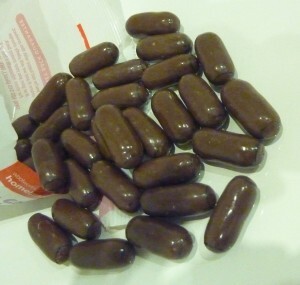 Yep, a few layers from a block of Cadbury Crunchie chocolate topped up by half a pack of these little buggers. Chocolate bullets. And they hit their target. Not long after, it was all downhill.